CRUZ BAY – Three beaches on St. John have been deemed unfit for swimming or fishing after water quality testing by the Department of Planning and Natural Resources (DPNR). 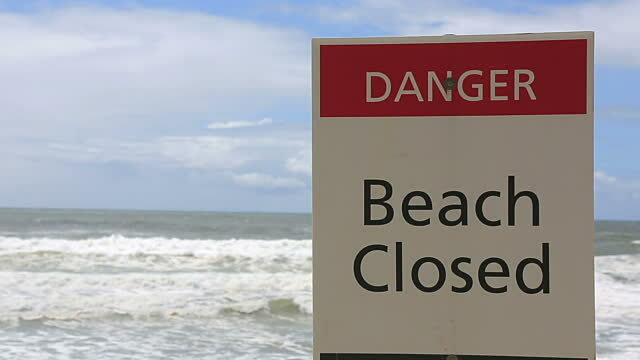 DPNR said Friday afternoon that Oppenheimer beach, Frank Bay and Cruz Bay should be avoided by swimmers and fishermen because the waters around them do not meet established water safety standards. This is the second week in a row that Cruz Bay on St. John has tested unsafe. DPNR said has been testing the ocean waters in Tier 1 Coastal Zone Management areas since 2004 after the federal Beach Act was passed by Congress as an extension to the Clean Water Act in 2000, DPNR environmental engineer Benjamin Keularts told the Virgin Islands Free Press today. The local agency tests ocean waters in areas that are used by the greatest number of people, are popular with water enthusiasts and have the greatest accessibility to the public, Keularts, who is the Program Manager for DPNR’s Water Quality Management and Pollution Control, said. DPNR performed water quality analysis at 33 designated beaches throughout the territory during the week of February 22 to 26.